Yvonne and Emily Selke at Emily's June 2013 Drexel University graduation ceremony. Michelle Ciarlo-Hayes remembers feeling disbelief. 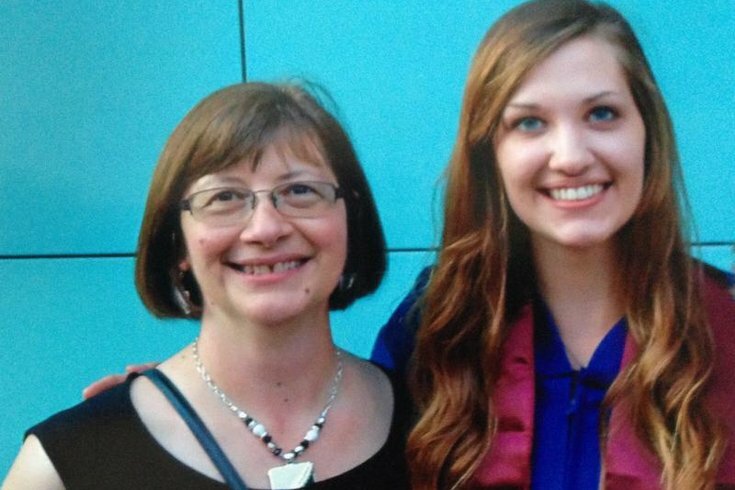 On March 24, 2015, her dad alerted her that Germanwings Flight 9525, containing her cousin, Drexel alum Emily Selke, Emily's mother Yvonne and 148 others, had gone missing. Soon after receiving confirmation of the plane's crash in the French Alps, in which no one survived, she immediately rattled off hypotheticals in her head. Maybe Yvonne transposed the flight number? Or they gave us an incorrect flight number? The gut sense: This can't possibly be Emily's plane. Until it was. "This happens in books and movies; this doesn't happen in real life," Ciarlo-Hayes told PhillyVoice through tears. "I remember I sent a message to her -- 'Em, I’m so lame. Just want to make sure you landed OK. I’m such a worry-wart. Send me something -- even if it’s a poo emoji.'" Germanwings crash families prepare lawsuit in U.S. But the emoji never came. A year later, still grappling with the death of a young woman who was once flower girl in her wedding and who she describes as "a peacemaker," Ciarlo-Hayes and five of Selke's friends are trying to find meaning in tragedy -- in this case, in the form of music. "Emily was the only person I've ever met in my life who felt the same way about music as I do," Ashley Kuhn, a close friend since 2010, told PhillyVoice. "We both loved live music, and that was why we both went to school for the music industry." Over brunch with a former roommate of Selke's, they agreed that showcasing music would be an appropriate way to honor her memory. A music buff and former Pittsburgh Fringe Festival manager, Emily had previously discussed wanting to organize a festival, Kuhn said, and organizing one that would celebrate her life felt like a "no-brainer," even if Kuhn personally had no experience in festival-organizing. Reflecting on it further, she said, it also felt like a good idea as a sort of outlet for friends and family to pay their respects, noting that because her mother was also on the flight, some never had the opportunity to mourn just Emily. Ashley Kuhn, a Drexel University Westphal College alumna and Fishtown resident, is co-organizing the 3rd Planet Festival with Meredith Perry, Julie Kimelman, Alex Tyler and Alyssa Stump, all friends of Emily Selke. "I kind of want this to be what Emily would have wanted for her memorial," Kuhn said. "To have bands come in to play and have everyone come together around live music to remember her." Which is how World Cafe Live's 3rd Planet Festival, organized by Kuhn and Selke friends Meredith Perry, Julie Kimelman, Alex Tyler and Alyssa Stump, came to be. 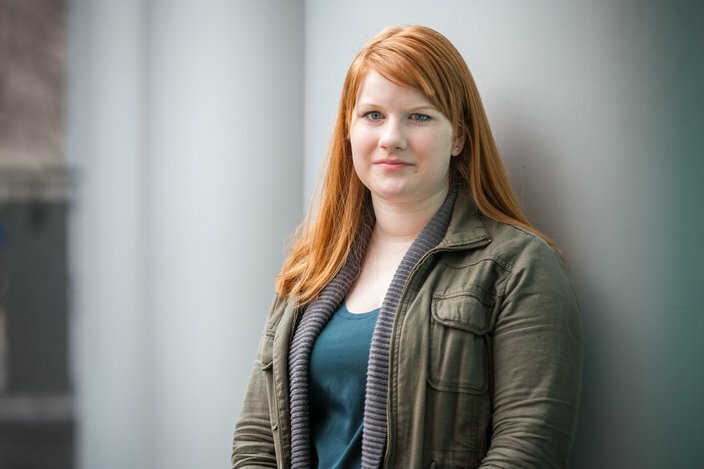 In the philanthropic spirit of her sisterhood with service sorority Gamma Sigma Sigma Zeta, funds earned from the festival will go toward the newly created Emily & Yvonne Selke Memorial Fund, meant to afford Drexel University Westphal College of Media Arts & Design students the opportunity to study or work in the music industry abroad. Music majors at the university, Kuhn said, are typically not encouraged (financially or otherwise) to study abroad as much as students in other programs. The lineup for the one-day-only festival, to be held March 19, is headlined by Bombadil (a favorite of Selke's), Oxymorrons and a "surprise guest." Additional performers include Family Volleyball, Kodiak, Argonautic, OhBree, Skinny Dip, Twin Coves, 18th and Addison, Uncle/Father Oscar, Wild Orphan and Alyssa Josep. To this point, there are 15 performers booked, with the list still growing. Kuhn's hope is this won't be the only time they host the festival. She also has her fingers crossed that Emily's favorite band -- whose song "Third Planet" lends the festival its name -- will one day hop on board, even if it's not this year. Ciarlo-Hayes, meanwhile, who designed the poster for the event, wants attendees to walk away with a sense of adventure, captured in her illustration of an earth-themed hot air balloon that plays on Selke's globe-trotting tendencies and the purpose of the memorial fund. But also, she said, she wants people to hold on to their blessings and not dwell on misfortune. "Do we wish we didn’t have to have the festival at all? Absolutely, because it means Emily would be doing this in some other capacity at some point in her life," she said. "But the idea is to take something devastating and make it beautiful instead. That's something my aunt and my cousin very much lived their lives doing." The 3rd Planet Music Festival will be held at 2 p.m. on Sat., March 19, at World Cafe Live. Tickets are $20.